Team Jefferson Starship reviewed this attraction on September 30, 2017. 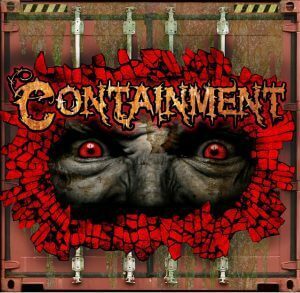 Containment is an experimental haunt that has a modest exterior belying the depths of terror awaiting unwary patrons. 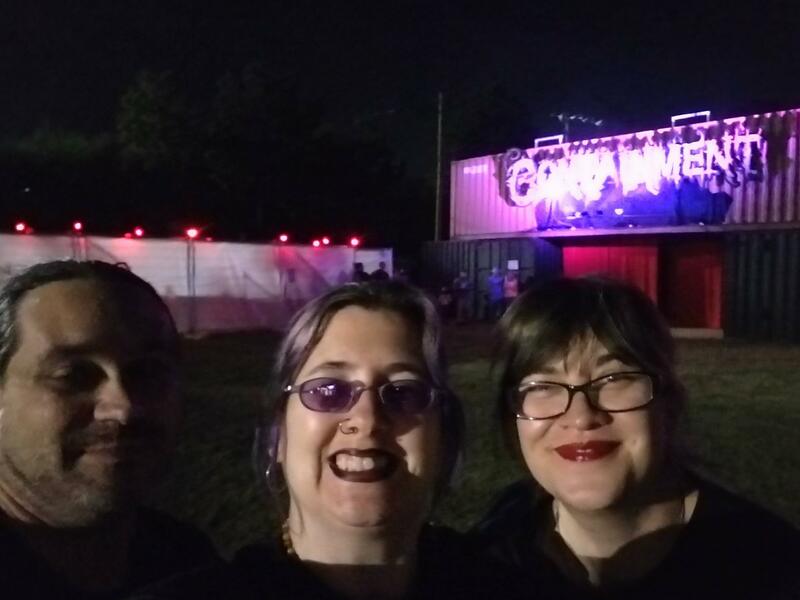 Created entirely from cargo shipping containers and nightmares, Containment invites fans of the macabre to step inside the torrid tale of Ed and Ned, brothers who own and run a roadside attraction containing a variety of marvels and terrors. From the echoing entrance chamber to the frantic finale, Containment explores a cavalcade of fears for anyone brave enough to breach their doors. Due to the intense nature of Containment children under thirteen must be accompanied by an adult to explore the horrors contained within these walls. 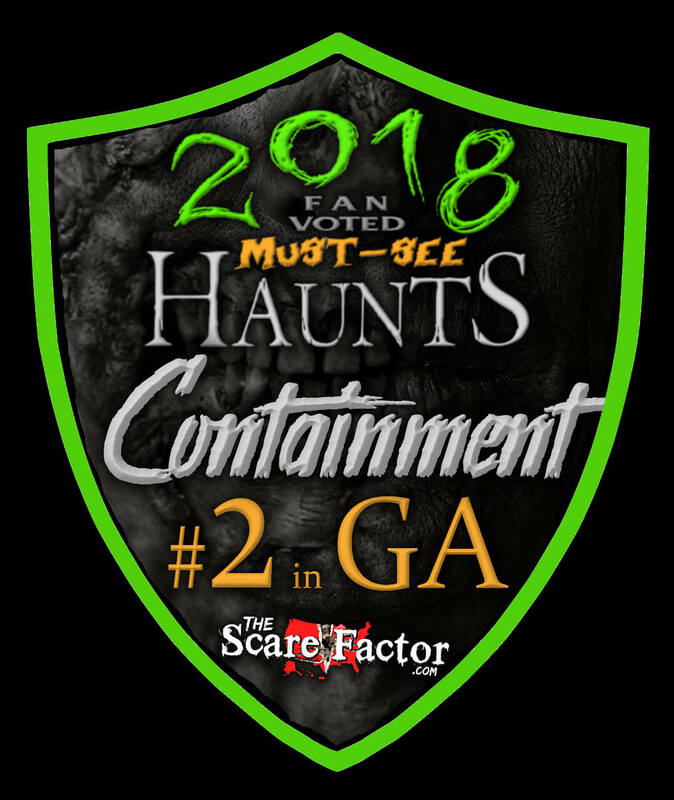 The monsters in Containment Haunted House are marvelously on point as they shriek and cackle at you from room to room. Our team was pleased to find that almost every creature we encountered was capable of not only delivering scares, but reacting smoothly to all of our responses and crafting their interactions to fit the tone of our group. The level of improvisation used by characters like Ned, the lone pianist, and the different doctors delighted and terrified our group in turns. Many of the monsters utilized their surroundings to enhance their performance and effectively stalk our team. Our team found very few inconsistencies in costumes amongst the monsters we encountered. There were minor points including visible tennis shoes on characters that shouldn’t have had them, some less inspired blood splattered choices, and a few incongruent to theme choices. That being said, where makeup was used it was effective and believable. There was not an abundance of masks and where masks were used they were always tucked in and believable. Choo Choo and Ned stood out the most as being frightfully well put together. Containment’s unique façade is easily spotted and the parking lot is free to use and spacious. The ticket booth, line, and port-a-johns are well lit and accessible, and the haunt itself is handicap friendly. 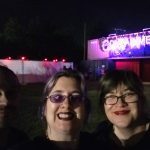 Everyone we encountered was friendly and open, proud to talk about their haunt and eager to help with any questions we might have had. Staff was easy to identify by their uniform t-shirts and line entertainment was provided. Several guests seemed particularly delighted by Choo Choo, so much so their hands flew up in excitement and they shrieked with joy to see him. At least, it sounded like joy to us. There’s a smooth wooden floor through almost the entire haunt making navigation easy. The façade of Containment is slightly underwhelming compared to the impressive sets and scenes held within. Our team was actually very pleased with the shock that this induced. Music plays on loop to keep patrons entertained, and although not all of it was Halloween or haunt themed, it was all engaging. Staff here was high energy and the guests around us were all excited for what was coming up. Containment’s unique set up presents some inherent challenges to special effects. Sounds reverberate in containers which underlines and enhances their disturbing nature, but also sometimes bleed in between scenes. On the other hand, the environment allows the haunt’s creators to do incredible things with the floors and to create tiny ecosystems of fear that have their own scents, temperatures, and lighting all fitting to the theme of the room. Our team was delighted and amazed by the mannequins we encountered, an effect we had never seen before, used breathtakingly. Be prepared to see some amazing sets and special effects as you navigate the interior of this haunt. Upon entering we were greeted by the beginnings of a tale that would not be entirely out of place in an early Edgar Allen Poe piece. The story of the ever-growing house of Ned and Ed, and its collection of oddities, has an overarching theme that is very clear although the execution is occasionally a little hodgepodge. Containment’s theme is certainly unique unto itself and continued growth will cement its identity into place. A mixture of good interaction, carefully placed distractions, and intuitive scene design offer a number of strong frights. Even the most battle hardened of our team found themselves apprehensive when faced with a certain scene inside of Containment. While waiting we saw more than one group fleeing for their life towards the relative safety of the well-lit parking lot. With a subtle beginning and an explosive ending this haunt has something to frighten everyone. While Containment is not a very long haunt, its ticket price is well balanced against its length. This is a great example of a theatrical haunt. The space is used effectively to create a large number of scenes in a limited area. 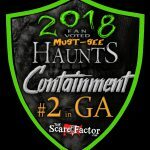 On top of that, the quality of the entertainment, the attention to detail, and the unique and well-executed special effects make Containment an excellent value for your money.